Resmed’s airfit F20 medium is a compact, no fuss full face mask with a great design for everyone. Resmed designed the F20 with ease of use in mind, and suceeded. The Airfit F20 has an easy to remove seal for quick cleaning and magnetic clips for simple attachment. 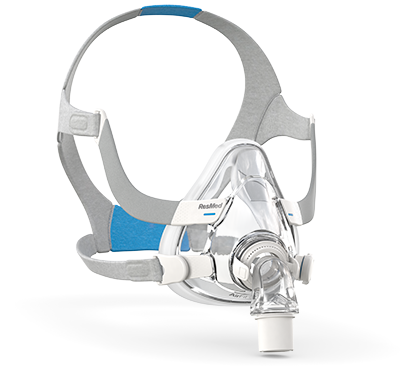 Resmed’s Airfit F20 is a great all round full face mask that wont weigh you down. Get yours here today so you get a great nights sleep. An unobtrusive mask that lets you see clearly so you feel free.